It’s 11.18pm on Friday night. I decided to continue my story on my cancer treatment. So I left off where I had to have my hysterectomy surgery. I made great recovery post operation that I was discharged 6 days. This was the third week of November 2008 when I left. Boy, was I eager to get home. Don’t get me wrong, the nurses at Mount Alvernia Hospital here in Singapore looked really great care of me. And I was also happy that my mum was able to fly from Sydney, Australia to help and look after me post surgery. I needed my mummy at this stage. I spent the next several weeks recuperating at home. My mum being the very traditional chinese mother cooked all the right foods that would aid my recovery. According to my mum and many other chinese mothers’ firmly believe certain foods can help and while others I must avoid. Take for example, chicken liver cooked with some ginger and sherry replenished the blood loss. Another good example is specific breed of fish cooked with some chinese herbs could speed up the healing of the scar. On the other side of the spectrum, consuming prawns and other shellfish would irritate the wound and this would slow down the healing process. Even consuming soya sauce can darken the scar. 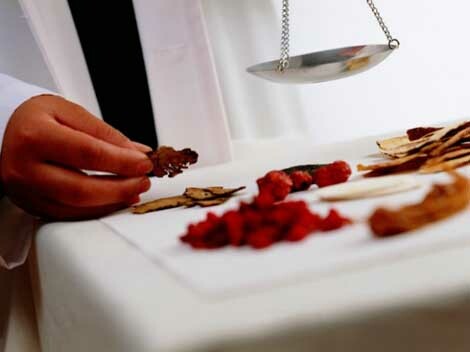 Yes, it is very old wives tales but there is some truth in traditional chinese medicine (TCM). The 4 weeks healing period was also filled with follow-up medical appointments. It was also my time to consult the specialist to plan out the radiation treatment. Endured all the pre radiation scans and test. I was blessed to be referred to a great oncologist situated at Mount Elizabeth hospital. He sat down and walk me through the entire process from how it works and targeted radiated area. I even got to view of the scans of my womb post op. 28 was the magic number assigned to me – this was the number of radiation sessions I had to complete. I would be radiated daily from Monday to Friday starting 5th December 2008. One of the side effects, I felt from day one of my radiation was fatigue. Since my session is scheduled in the morning, I would be very tired just after lunch. As nurses guided me, I took a nap when this happens. As I progressed along the radiation treatment other side effects I encountered included pubic hair loss, darkened skin where it is radiated and diarrhoea. In addition to no shellfish and soya sauce intake, I had to change my diet to a low fibre diet to reduce the tummy side effects. Oh what fun! Aside from the western treatment, I decided to complement my radiation with some TCM. The TCM doctor recommended to take some ginseng and cordyceps to minimize the side effects of radiation. TCM is a mind-boggling and you have to combine the right herbs is not easy. So I bought a premium grade ginseng and cordyceps. I would alternate between 2 herbs where it would be simply brewed with water. You could say drinking the brew was a necessary “caffeine intake”. Some chinese medicinal herbs don’t always have a pleasant smell and this is a deterrent for me. If it taste awful, it would take me a little longer to finish drinking the brew. I force myself to drink simply because it is meant to be “good for me”. Luckily the ginseng and cordyceps had a nice after taste that I didn’t mind it all. Come to 3rd week of January 2009, I successfully completed my 28 sessions of radiation. I asked my oncologist if I get a certificate of achievement for completing all the sessions. He laughed at me and said that he will work on that. To this day, 2 years later, I am still waiting for my certificate. Another round of CT scans and other tests were conducted not long after radiation to see if there was any signs of cancer cells still lurking around. Results looked great. I was declared that my cancer is in remission. Yippee! Now I can return to living my life. Next step was to pass the 5 year mark to be declared cancer free.